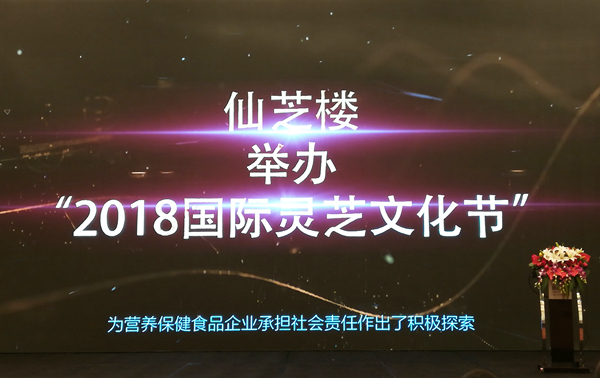 On December 3rd, [Mainstream Circle, Positive Energy – 2018 Nutrition and Health Industry Market Annual Meeting" was held in Guangzhou. Starting from a "new starting point" with "positive energy", the national nutrition and health mainstream enterprises gathered together to discuss the latest trends of the industry and make suggestions for a better future! [Ten Positive Energy Events in the 2018 Nutrition Health Market" was announced on the spot. 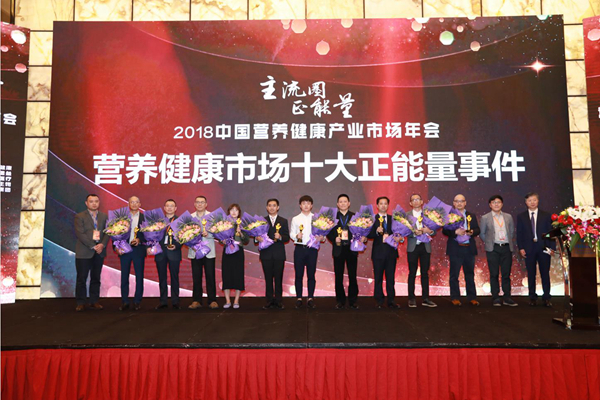 The "2018 International Ganoderma Cultural Festival" organized by GANOHERB Group was also successfully selected as "Top Ten Positive Energy Events in the 2018 Nutrition Health Market". The top ten positive energy events in the nutrition and health market were first launched by Shuzheng Health in 2015. This year is the fourth year. The selection activity is trying to convey the media, the public, and the administrative departments that, in China nutrition and health industry, there are good enterprises, good technology, good products, and positive energy. The Chinese nutrition and health industry can fully assume the historical responsibility of implementing healthy China strategy and improving the health of the people. The general procedures for the selection of the top ten positive energy events in the nutrition and health market include four steps: [industry referral", [expert review", [organizing committee validation" and [on-site promulgation". The selection principle is that the selected target cases for the development of nutrition and health industry have obvious benchmarking significance and driving effects. GANOHERB was successfully selected by its enterprise strength. With the continuous advancement of healthy China construction, the general trend has created opportunities for the nutrition and health industry. Therefore, the positive energy activities or the model image set by the enterprises in the industry will bring more positive impacts and be helpful to the healthy trend of the industry. As a benchmarking enterprise in the Lingzhi industry, GANOHERB has not only passed the international organic certifications of China, the US, Japan and the EU for 13 consecutive years but also passed ISO22000:2005 and HACCP. GANOHERB Group insists on ensuring the safe and efficient quality of Ganoderma Lucidum from the source and has been committed to the inheritance and promotion of Ganoderma lucidum culture. 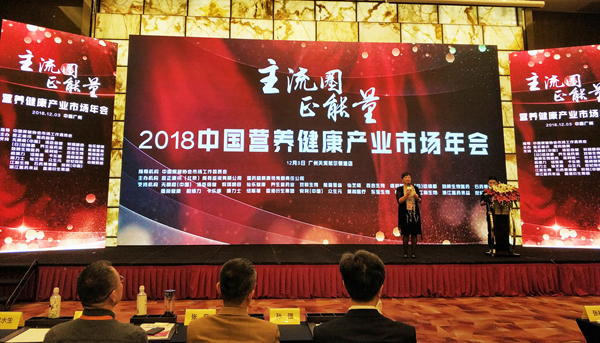 In July of this year, GANOHERB and Fujian Pucheng County People's Government jointly organized the "2018 International Ganoderma Cultural Festival", with Ganoderma lucidum culture as the medium, pushing Reishi Mushroom to the national and even global stage by the National Ganoderma lucidum poetry contest, Ganoderma lucidum paper-cutting contest, thousands of people's exploration of Ganoderma plantation, the Ganoderma lucidum theme party, the Ganoderma lucidum and the big health theme salon, etc. The Ganoderma culture initiated by GANOHERB helps promote the integration of the local first, second and third industry, and promote the rural revitalization with cultural revitalization. 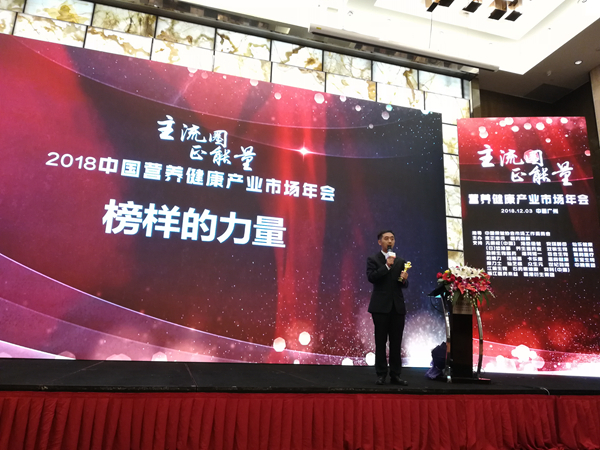 At the meeting, Li Chen, Supply Chain Deputy General Manager of GANOHERB Group, made a speech for the award of [The Force of A Good Example". He said that the development of any industry cannot be separated from people's recognition of industrial culture. Only with the recognition of Ganoderma lucidum culture, the value of Ganoderma lucidum, the comprehensive promotion of Ganoderma lucidum, and the development of Ganoderma lucidum industry can develop in a better direction. As one of the representative enterprises of Ganoderma in China, GANOHERB has the responsibility to shoulder this important task. In the future, the annual [International Ganoderma Cultural Festival" will also be an important focus of Ganoderma lucidum culture promotion and industrial revitalization.